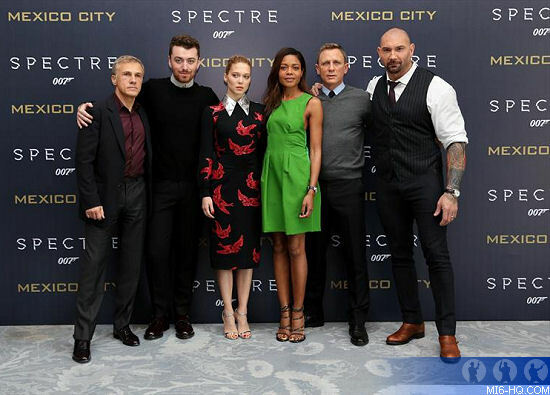 Unlike the European premieres where the cast were fractured across multiple cities, the entire ensemble from 'SPECTRE' descended on Mexico City for the Premiere of the Americas on Monday 2nd November 2015. 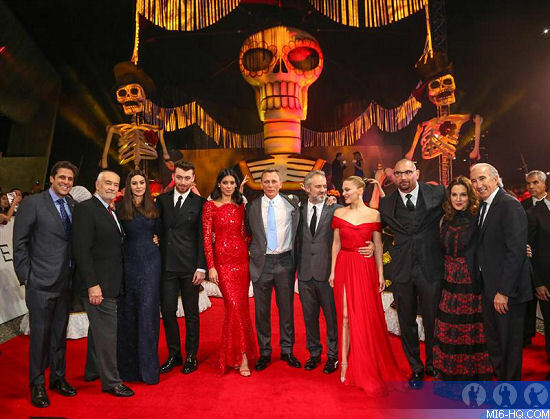 Held at the National Auditorium, Daniel Craig was joined by co-stars Lea Seydoux, Christoph Waltz, Naomie Harris, Monica Bellucci, Dave Bautista and Stephanie Sigman. Director Sam Mendes and producers Michael G. Wilson and Barabara Broccoli also brought along title song artist Sam Smith for the occasion. Amongst the special guests were the mayor of Mexico City, Miguel Ángel Mancera and Formula 1 world champion Lewis Hamilton. A special photocall was also held the day before, on Sunday, for the principal cast.